Before Pope Francis appointed Father Bernard E. Shlesinger III to be an auxiliary bishop of the Archdiocese of Atlanta, he was simply our beloved Father Ned, here in the diocese of Raleigh. And while I can’t claim to have a vast storehouse of memories of Fr. Ned, I do credit him with teaching my family the importance of making pilgrimages. For a time Fr. Ned Schlesinger hosted regular monthly pilgrimages for the local home school community. They were the perfect balance of fun and faith. A typical pilgrimage with Father included Mass, a guided tour of a Catholic Church and a visit to a nearby historic site or landmark. My children and I attended the pilgrimage to Newton Grove. After Mass, Father explained the rich history of Our Lady of Guadalupe Church and its cemetery. Then, families enjoyed their picnic lunches before heading over to Bentonville Battlefield in nearby Four Oaks. 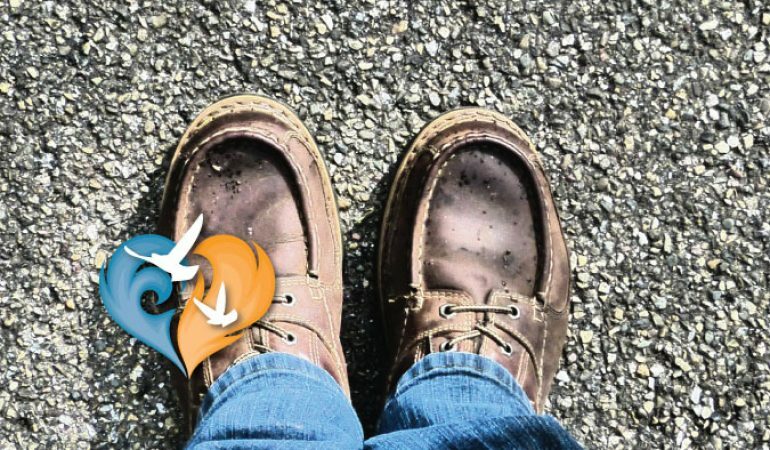 While on the surface the day’s events weren’t extraordinary in the way that a pilgrimage to the Holy Land or the shrine in Lourdes, Frances is; we were no less pilgrims. Derived from the Latin word peregrinus (foreigner), a pilgrim is a wanderer with a purpose. For the Christian pilgrim that purpose is to honor God. A pilgrimage, by extension, is a journey with a moral or spiritual significance. Father Ned called us on a journey which required some sacrifices (time, energy, resources) and travel. Through the Holy Mass and his instruction, he directed our hearts and minds toward Jesus. His history lessons introduced us to fellow Catholics who had courageously witnessed to the faith in a once less-than-welcoming-to-Papists, southern state. 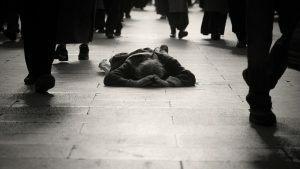 This wise priest taught us that we can transform something as ordinary as a local trip into something extraordinarily fruitful just by setting our compass on Christ. Just because you don’t have the resources or time to make a pilgrimage to a distant sacred site, doesn’t mean that you can’t become a pilgrim this year. Whether you are looking for a simple one day activity for your family or you’re planning a stay-cation, consider including a prayerful and purposeful journey in your itinerary. 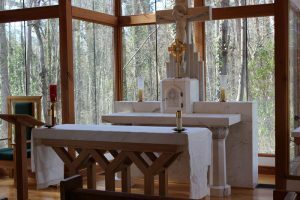 Make a pilgrimage to one (or all) of the numerous sites within the diocese of Raleigh. St. Joseph Catholic Church has the distinct honor of being the Shrine of Our Lady of Czestochowa. The church houses an authentic Icon of the Madonna also known as the Black Madonna or Black Virgin. Faithful pilgrims come from throughout the diocese to participate in the parish’s weekly novena to Our Lady which takes place just prior to the Wednesday evening Mass. Sizeable statues of St. Gerard Majella, St. Joseph, St. Martin de Porres, St. Anthony of Padua, the Infant of Prague and St. Therese are also present inside the sanctuary. When the weather permits, pilgrims can pray at one of the outside shrines or pause in front of the new cemetery for the infants and the unborn. Our Lady of Perpetual Help and the nearby mission church, Immaculate Conception have rich histories worth researching. Our Lady of Perpetual Help boasts an extraordinary wood-carved altar piece with crucifix and a small icon of Our Lady of Perpetual Help brought from the shrine in Rome. This parish hosts a weekly rosary on Wednesday evenings for the intentions of faithful from around the world. The parish recently added two new shrines: an image of St. Philomena and another of the Holy Face. Our Lady of Perpetual Help is one of the few parishes in the diocese with an adoration chapel. The Blessed Sacrament is exposed in the parish’s St. Joseph Chapel five days a week from 6am to midnight. ne many changes since then, many holy men and women have been part of its history. Among them are Fr. Thomas F. Price, who served as pastor from 1889 to 1895, and St. Katherine Drexel, a benefactor and visitor. This parish includes a historic Catholic cemetery and a Marian Shrine of the Unborn. 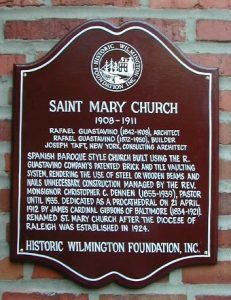 According to its historical record, New Bern has been called the birthplace of Catholicism in North Carolina. The parish of St. Paul keeps a six page detailed document which was written by Fr. Charles J. Croghan in the 1850’s. From 1887 to 1896, Fr. Thomas F. Price, the first native-born priest ordained to the diocese, was assigned to New Bern, though he actually ministered to 16 chapels in the east. Between the college and the monastery, there is a lot to see and do at Belmont Abbey. For individuals seeking a deeper spiritual journey, the abbey actually offers free accommodations. 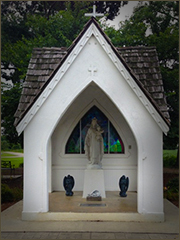 For all pilgrimages, Belmont Abbey includes a Grotto to Our Lady of Lourdes, the Basilica of Mary Help of Christians, St. Joseph’s Adoration Chapel and Brother Paul’s Trail. St. Francis of Assisi offers many peaceful areas to sit and pray and is particularly child-friendly. The sanctuary altar holds a relic of St. Francis as well as statues of the saint and Our Lady with the Child Jesus. There is also a Portiuncula, a replica of the little church St. Francis restored. A plenary indulgence is available under certain conditions for visiting a Portiuncula. According to the Basilica’s website, “The design of a house of worship is an expression of the human spirit. In a church practical considerations are important but not paramount; what is paramount is the quality and drama of the space it contains. Church architecture mirrors a civilization and its religious climate.” St. Mary reflects an inspired religious climate. St.Mary’s was built in Spanish Baroque style architecture with twin towers, a graceful dome and an elegant sanctuary. The impressive construction was accomplished without the use of steel, wood beams, framing or nails. St. Catherine of Siena has undergone many changes in its history. The large increase of Catholics into the Wake Forest area warranted the building of a new church recently. The new church is an impressive structure which harkens back to a time when church architecture was as much about beauty and majesty as it was about meeting practical needs for worship. The parish has several ambulatory shrines along the sides of the sanctuary. The faithful can easily offer their petitions and rest in quiet contemplation before statues of their favorite saints. The shrines include St. Peter Verona OP, Pope Pius V OP, St. Anthony of Padua OFM, St. Louis-Marie Grignion de Montfort, St. Dominic OP, St. Teresa of Avila, St. Terese of Lisieux, St. Thomas Aquinas OP, St. John Baptiste-Marie Vianney, and St. Josemaria Escriva. Inside the front altar rail are statues of St. Catherine of Siena, St. Joseph and an original interpretation of Sedes Sapientie, Our Lady Seat of Wisdom. St. Catherine of Siena has a perpetual adoration chapel. Holy Name of Jesus Cathedral is set to welcome pilgrims soon. The Cathedral’s tower will house 50 bells, including the bell for Holy Name of Jesus Chapel that was purchased by Fr. Thomas F. Price. Ranging in size from 18 pounds to nearly a ton, the bells will be the voice of Raleigh’s Catholic Cathedral. The Cathedral altars will contain relics of The True Cross, St. Peter the Apostle, St. Paul the Apostle, St. Reparatus, St. Gaudiosus, St. Thomas Becket, St. Francis de Sales, St. John Neumann, St. Pope John Paul II, St. Francis of Assisi, St. Jane Francis de Chantal, St. Margaret Mary Alacoque, St. Paul of the Cross, St. John Vianney, St. Thérèse of Lisieux, St. Gemma Galgani, St. Leonie de Sales Aviat, OSFS and Blessed Louis Brisson. 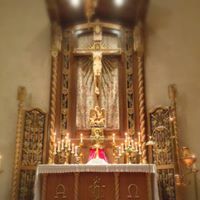 Does your parish have a special shrine or notable history? What other parishes would you add to this list?